Generally, A Senior Hero would take care of the projects of his Son to establish him as a Star. 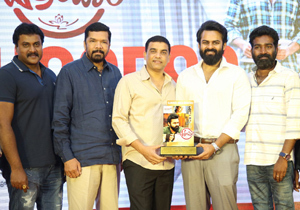 Even Megastar has done the same until few years ago and finally Ram Charan emerged as one among the Top Stars of Telugu Cinema. Much to everyone's surprise, Cherry has been now focusing more on his Father's ongoing & upcoming projects more than that of films-starring himself. 'Sye Raa' Shoot is yet to be completed but that didn't stop him from thinking about #Chiru152. 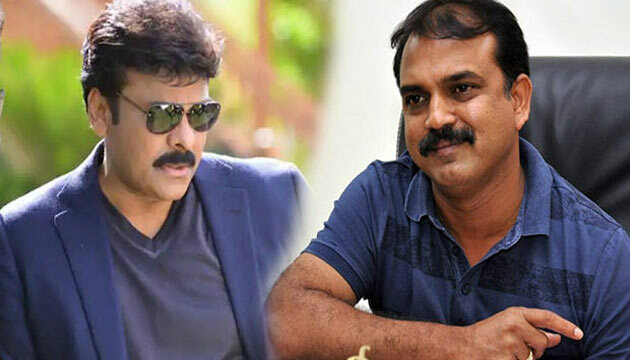 Here is the Latest Update: Konidala Productions & Matinee Entertainment has collaborated to produce #Chiru152 under the direction of none other than Koratala Siva. Makers clarified that all the rumours doing rounds about this project are baseless. This crazy venture would go on floors in the second half of 2019. Konidala Productions bankrolled Chiranjeevi's comeback flick, 'Khaidi No.150'. Even 'Sye Raa' is being made on the same banner. It's going to complete a hat-trick with #Chiru152. Matinee Entertainment had earlier produced films such as 'Kshanam', 'Ghaji' and 'Raju Gari Gadhi 2'.